Ranked number eighth nationally, Jacksonville State scored first and then continued that trend in handing the Eastern Kentucky University Colonels a 56 to seven defeat at Roy Kidd Stadium Saturday. 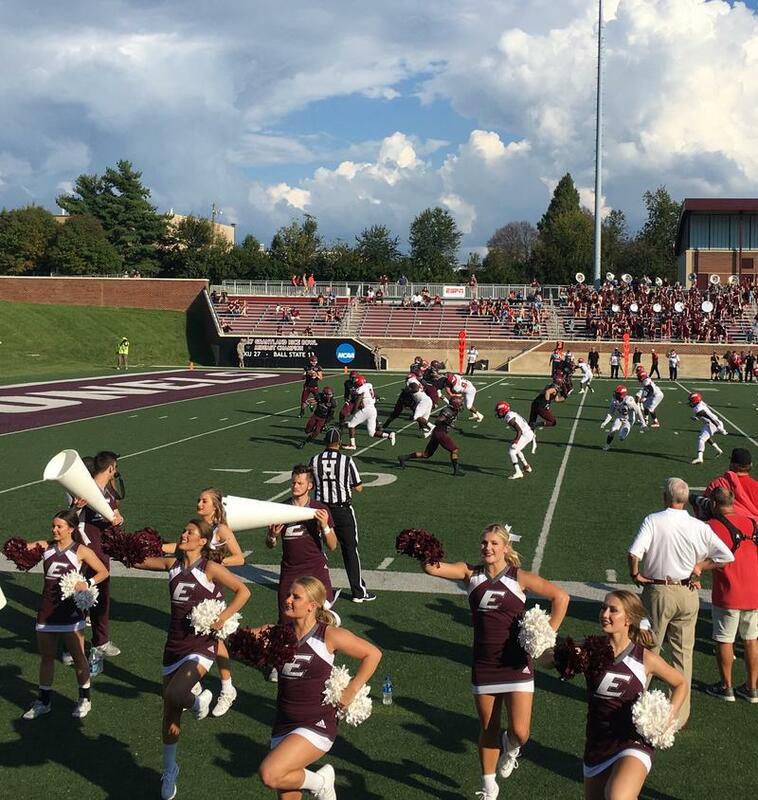 The Gamecocks led 28 to zero at the half and extended the lead by 21 more points before EKU scored in the fourth quarter to avoid a shutout. Jacksonville State, the defending Ohio Valley Conference Champion, racked up 637 total yards of offense in the game compared to 147 for Eastern Kentucky.